Program Selector Pro provides access control and usage management. 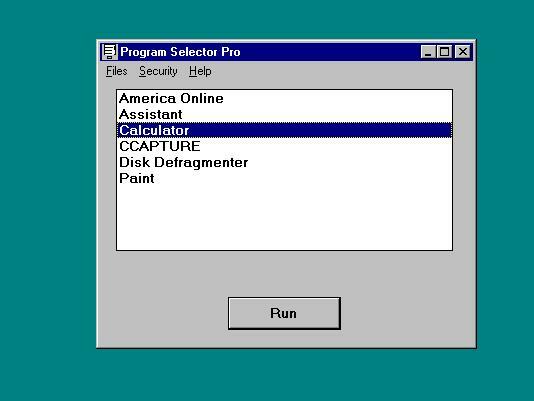 Replaces standard Windows 95/98/ME user interface (task bar, Start button, and icons) with user configurable list box of program names. Supervisor level password is required to add programs to the program list box. Administrative level password is required to restore the original Windows interface. Programs can also be individually password protected. Virus protection included.